The Lord has said, "The gold and silver is mine, and the cattle upon a thousand hills, and he that abideth in me shall ask and receive, and sufficient unto the day [are] the needs thereof." There will be many changes, to be sure, when the present conditions [WWII] have subsided which have upset the equilibrium of the land, the equilibrium of prices, and there will be more and more upsetting in the monetary units in the land. Are we now at the end of the line with respect to this “upsetting” process? To answer this question, realize first that one of the biggest upsets of America's monetary units since 1944 occurred when President Nixon closed “the gold window” in 1971. Closing the gold window solved the U.S. government's financing problem for a little while. With gold no longer convertible into paper at a fixed rate, it became free to trade on the international markets. Thus, quite naturally, gold's price began to rise because the number of dollars in circulation relative to the number of ounces of gold that existed at that time, grew with extreme rapidity. As people began to realize that their dollar denominated wealth was in the process of evaporating, they began more and more to buy gold and other tangible assets rather than allow their wealth in be stored in financial or dollar denominated assets. Demand for wealth preservation became so great that the federal government's prohibition against owning gold was overturned and signed into law by President Ford. This new law, however, did not restore convertibility of U. S. dollars into gold, and over time, inflation rose because the dollar was no longer tied to gold, although people are led to believe that the dollar is backed by gold (in Ft. Knox). It made sense for the Rothschilds, Rockefellers, and other powerful merchant banking interests to manufacture a sentiment that gold is dead. It is in their interest to have the masses believe that gold is no longer a store of value (thus currency), but rather only a simple commodity. The fact is, a Rothschild knows otherwise, from a history of gold trading in 200 years of European history. Some commentators, like H. S. Price, see dark forces at work globally to accumulate gold..
"It is my conviction that the shady characters who are behind the scenes in this world...have a plan which they have been carrying out over the past decades...We have been witnessing a new way of accumulating gold...through mass-deception, through manipulation of the mass-mind, which was never before possible...These unidentified characters have used the dollar to accumulate wealth, and they have been going after the gold. They can well see, that the present international monetary system is doomed" - Hugo Salinas Price, “Gold yesterday, today and tomorrow,” January 22, 2002. ...we wrestle not against flesh and blood, but against principalities, against powers, against the rulers of this world, against spiritual wickedness in high places. But who cares about gold anyway, when the U.S. Federal Reserve is exerting beneficent and enlightened control over the nation's monetary units? Let's take a closer look. Amschel Rothschild, of the Frankfurt branch. Carl (Kalmann) Rothschild, founder of the Naples branch. James (Jacob) Rothschild, founder of the Paris branch. Nathan Rothschild, founder of the London branch. Salomon Rothschild, founder of the Vienna branch. Now that we know the Federal Reserve is a privately owned, for-profit corporation, a natural question would be: who OWNS this company? Peter Kershaw provides the answer in "Economic Solutions" where he lists the ten primary shareholders in the Federal Reserve banking system. Now I don't know about you, but something is terribly wrong with this situation. Namely, don't we live in AMERICA? If so, why are seven of the top ten stockholders located in FOREIGN countries? That's 70%! To further convey how screwed-up this system is, Jim Marrs provides the following data in his phenomenal book, "Rule By Secrecy." He says that the Federal Reserve Bank of New York, which undeniably controls the other eleven Federal Reserve branches, is essentially controlled by two financial institutions: Chase-Manhattan (controlled by the Rockefellers) - 6,389,445 shares - 32.3%; and Citbank - 4,051,851 shares - 20.5%. Thus, these two entities control nearly 53% of the New York Federal Reserve Bank. Doesn't that boggle your mind? Now, considering how many trillions of dollars are involved here, and how the bankers are WAY above our "selected" officials in Washington, D.C., do you think the above-listed banks and families have an inordinate amount of say-so in how our country is being run? The answer is blindingly apparent. Where does the money come from? We all know that the Federal Reserve CORPORATION prints money - then loans it, at interest, to our government. Wait until you see what a total scam this process is. But before we get to the meat of this issue, let's remember one thing about the very essence of banking - primarily that money should have some type of standard upon which its value is based. In the case of America, we operate on what is called a "gold standard" (i.e. our money is backed by gold). So, with that in mind, let's look at how money is actually created, and at what cost. If the Federal Reserve wants to print 1,000 one-hundred ($100) bills, their total cost for ink, paper, plates, labor, etc. would be approximately $23.00 (according to Davy Kidd in "Why A Bankrupt America"). Now, if you do the math, the total cost of 10,000 bills would be $230.00 ($.023 x 10,000). But, and here's the catch - 10,000 $100 bills equals $1,000,000! So, the Federal Reserve can "create" a million dollars, then LEND it to the U.S. Government (with interest) for a total cost of $230.00! That's not a bad deal, huh! The banking industry calls this process "seignorage." I call it outright THEFT. Why? Well, regardless of the immense profit margin ($1,000,000 for $230), plus the huge interest payments, our government then needs to STEAL the American people's money to payoff their debts via a Mob-like agency called the IRS. So the bankers steal from the government, then the government turns around and steals from the people. I'm no genius, but who do you think is getting screwed in this process? US - the people at the bottom rung of the ladder.... the GOLD STANDARD that our financial system was based upon is now an illusion. We can't convert our money into gold --- only other currency. The entire underlying basis for our money is now a lie - a sham. The Federal Reserve has become so arrogant that they've become a literal MONEY MAKING MACHINE, creating currency out of thin air! So that's where the Fed gets their money - they literally make it, then lend it to us so they can make even MORE money off of it. The above-detailed process has become so ridiculous that William Grieder, former assistant managing editor of the Washington Post, wrote a book in 1987 entitled, "Secrets of the Temple: How the Federal Reserve Runs the Country" that details how the Controllers have conditioned us to accept this absurd situation. "To modern minds," he writes, "it seemed bizarre to think of the Federal Reserve as a religious institution. Yet the conspiracy theorists, in their own demented way, were on to something real and significant. The Fed did also function in the realm of religion. Its mysterious powers of money creation, inherited from priestly forebears, shielded a complex bundle of social and psychological meanings. With its own form of secret incantation, the Federal Reserve presided over awesome social ritual, transactions so powerful and frightening they seemed to lie beyond common understanding." Mr. Grieder continues, "Above all, money was a function of faith. It required implicit and universal social consent that was indeed mysterious. To create money and use it, each one must believe, and everyone must believe. Only then did worthless pieces of paper take on value." Do you get it? MONEY is an ILLUSION! Why? Because the gold standard upon which our money is supposed to be based has been eliminated.... Now, money really IS only paper!!! In the past, money was supposed to represent something of tangible value. Now it's simply paper! Taken one step further, many of us don't even use paper money any more! Why? Well, here's a scenario. Many places of employment directly deposit their employee's paychecks into the bank. Once the money is there, when bill time comes around, the person in question can write out a stack of checks to pay them. Plus, when they need gasoline they use a credit card; and groceries a debit card. If this person goes out for dinner on Friday night, they can charge the tab on their diner's card. But what about the tip? They simply scribble in the amount at the bottom of the check. So far, the person hasn't spent a single dollar bill. Plus, if you bring electronic banking into the picture, we've virtually eliminated the use for money. And, God forbid, what happens when encoded microchips are implanted into the backs of our hand? In essence, money has become nothing more than an illusion - an electronic figure or amount on a computer screen. That's it! As time goes on, we have an increasing tendency toward being sucked into this Wizard of Oz vortex of unreality. Think about it. Americans as a whole are carrying more personal debt than in any other time in history. Plus our government keeps going further and further into the hole, with no hope of ever crawling out. But we have less and less actual MONEY! We're being enslaved by the debt of electronic blips on a computer screen! And 70% of the banks that control this debt via the Federal Reserve exist in foreign countries! What in God's name is going on? As author William Bramley says, "The result of this whole system is MASSIVE debt at every level of society." We're getting screwed in a sickening way, folks, and the people doing it are demented magician-priests that use the ILLUSION of money as their control device. And I hate to say it, but if we allow things to keep going as they are, the situation will only get worse. Our only hope ... ONLY HOPE ... is to immediately take drastic action and remedy this crime. Another angle on the progressive upsetting of America's monetary units, since reading 5400-1 was given in 1944, has to do with imbalances in the ownership of America's assets. Here is a piece from Bridgewater Associates, a global investment manager with over $30 billion in assets under management. Bridgewater spells out in detail the degree to which foreigners own American assets. Some of the numbers are shocking. The implications are huge, and not pretty for the U. S. stock market's future. Here a few of the more interesting items. Foreigners own 40% of the U.S. treasury market. And when you back out the Fed holdings, they own 48% of the of the liquid treasury market. "The willingness of foreigners to fork over hundreds of billions of dollars to the US fed the massive spending spree and, to some degree, investing spree that US households and corporations embarked on over the last eight years. Now foreigners hold a high percentage of all US assets, and these assets are beginning to under perform. If foreign selling of US assets sours as we expect, a vicious cycle of foreign selling of US assets would likely ensue. These holdings are so big, and so much larger than US assets abroad, that they are a long-term risk to the financial markets." Note: Readers unfamiliar with the financial terms used in the following paragraphs, can find them explained on-line in Campbell R. Harvey's Hypertextual Finance Glossary. Since 1998 considerable dollar risk has been “bundled” in the derivatives marketplace - specifically in the swaps market. Foreign holders of U.S. dollar financial claims, instead of selling, have had the opportunity to “swap” future dollar cash flows for the cash flows generated by foreign securities. This market functioned wonderfully, as it reduced the need to liquidate escalating dollar holdings by allowing the transference of dollar asset risk to the derivatives marketplace. Note: The following paragraphs have been lightly edited by Hutton from a piece, he thinks, by Doug Noland. Mr. Noland is one of two top strategists for the Prudent Bear Funds, Inc. To access his work, click on Noland's “Credit Bubble Bulletin” under Recent Commentaries. The swaps market became instrumental for domestic players in the U.S. as well. In the past speculators would short Treasury notes and use the proceeds to purchase higher-yielding securities such as mortgage-backs and agency bonds. The short position in Treasuries (or agencies) provided a hedge against general interest rate increases. The systemic risk associated with this type of speculation being done in enormous excess became conspicuous with the LTCM collapse in 1998. Widening spreads - Treasuries outperforming other securities - led to a self-feeding liquidation of leveraged positions (widening spreads would impart losses forcing leveraged positions to be unwound, leading to additional losses and eventual systemic liquidity crisis). But the game has changed in profound ways since 1998's near death experience. Players today finance leveraged speculations predominantly in the repurchase agreement and Fed funds markets, and use the swaps market for hedging purposes. This “evolution” has thus far apparently functioned quite well, as it had until recently in the currency markets. Although we are today left very uncomfortable with the thought of only more risk being “bundled” on top of the mountains of risk bundles in the swaps market. Our hunch is that this risk “bundling” gets right to the heart of the unfolding systemic problem. We are firm believers that reckless credit excess leads to proportional problematic consequences. As the epicenter of risk “mitigation,” look to the untested swaps market for inevitable trouble. There is no magic marketplace to hedge systemic risk, despite the myths to the contrary. We recognize how in the past a speculator would place a bet place on, let's say, mortgage-backs, and hedge interest rate risk by shorting a Treasury note or agency bond. In the event of rising yields, a decline in the price of the security shorted (as the hedge) would generate a positive cash flow. But hedging in the swaps market is a different animal; establishing a hedge only places the swap counterparty at risk to changing market prices. The counterparty then faces the necessity of shorting (or going long) securities - dynamically hedging - to generate the positive cash flows in a rising (declining) rate environment. We especially dislike the systemic risk imposed by the necessity of large-scale dynamic hedging inherent in a large swaps market. We fear the dollar and interest rate markets are prone to derivative-related trend-following trading dynamics and potential dislocation. So we are left today pondering the “Bundling” of credit, dollar, and interest rate risk in the swaps market and the increasing impairment of the major derivative players. And with acute dollar weakness, what appears a “meltup” dislocation in the Treasury and agency markets, collapsing swap spreads, and faltering stock prices for the major derivative players such as J P Morgan, Citibank, Goldman Sachs, Morgan Stanley and Merrill Lynch, we do tend to see support for our view of unfolding derivative problems. Unlike the 1998 dislocation that erupted from the reckless leveraging of LTCM and others, the unfolding 2002 crisis involves structural market distortions in risk and risk mitigation. By its very nature, this crisis will not be easily resolved. The basic problem is that years of unprecedented credit and speculative excess have created unfathomable and growing market risk throughout the U.S. financial system - credit risk, risk to changing interest rates, and the extreme dollar risk associated with an unprecedented exponential rise in dollar claims. It is our view that unrelenting credit excess and the corresponding growth in the global swaps market have now transformed the nature of U.S. risk to one of an acute systemic nature. It involves our markets, our major financial institutions, and our distorted economy. And when it comes to systemic risk, as we have explained in the past, when the “market” wishes to hedge, there is no one with the wherewithal to take the other side of the trade. The thinly capitalized and thickly market-exposed derivative players certainly have little equity cushion to provide “insurance” protection. Nor is it possible to “hedge” systemic risk in the derivative or swaps market if there is a general move away from dollar assets. At some point, the only way to mitigate risk is to liquidate U.S. financial assets. At the same time, the system requires unrelenting Credit excess to sustain the U.S. economic Bubble and maintain inflated asset markets. This has been the case for some time, but it has recently become a much more serious issue. Rampant domestic Credit excess is today problematic in at least two major ways. First, it fosters larger trade deficits and excess dollar balances globally in an environment of heightened aversion to dollars. Second, it exacerbates the accumulation of additional dangerous risk in the hands of increasingly impaired U.S. financial institutions and speculators. We are to the point where we believe the mortgage finance Bubble is a dollar problem. The Fed is now faced with significant risk if it moved to control this Bubble. Foreign players have good reason to presume that the Fed, Government Sponsored Enterprises (GSEs) and U.S. financial sector will instead go to great extremes to ensure the mortgage finance Bubble does not burst. Therefore, foreign holders of dollar assets must clearly fear continued uncontrolled non-productive Credit excess - the continuing inflation of dollar financial claims. The U.S. system's unfettered capacity for creating it's own liquidity will now be the dollar's Achilles heel. So we are left today increasingly convinced of an approaching dislocation in the risk markets and this risk is today manifesting in the currency markets. What exactly this means is not at all clear. But we are convinced of a few things. The unprecedented creation of dollar claims over the past several years puts the dollar at the epicenter of any unfolding dislocation. We also believe dollar risk is compounded by the fact that major U.S. financial institutions are the core of an acutely vulnerable global derivatives market. And we also believe that unabated rampant U.S. Credit excess - especially of the nature of a mortgage finance Bubble - will only exacerbate unfolding dollar, derivative, and U.S. financial institution problems. The U.S. financial sector may have mastered uninterrupted Credit excess, but this now only ensures an inevitable financial crisis. The economic crisis in Argentina is grave. Unemployment is now 20 percent, only 5 percent below ours during the Great Depression. It is no longer an inconvenience. People are now reaching the point where they simply have no money for food or medicine. In the meantime, the International Monetary Fund refuses to make any loans because the Argentine provincial governments didn't cut their budgets enough to suit the international financiers. Thus, the human tragedy in Argentina provides a lesson Americans ought to learn. The present international banking system is exploitive and destructive and must be changed. So, for that matter, is our domestic banking system. Many countries in the world today are saddled with debt beyond their ability to repay. For the moneylenders, this is an ideal situation. The usurer simply collects interest in perpetuity. Since the principal was created out of thin air, he doesn't care that it will never be repaid. He cares only that the interest is paid annually. As a matter of fact, our own public debt is beyond our ability to repay. Our annual interest payments for years have exceeded the federal budget during President Kennedy's first year in office and will continue to do so for generations. While a column is too short to explain the banking and monetary system, there are a few points you should be aware of. First, the economy and the monetary system are two different things. You can have an economy, which is the production and exchange of goods and services, without a monetary system. But you can't have a monetary system without an economy. A monetary system is simply designating something as a medium of exchange. It could be gold or silver or sticks or stones or whatever. In our case it's paper - which, in itself, is worthless. The Federal Reserve notes in your wallet or purse cannot be exchanged for gold or silver, though you can use them to buy gold or silver at the market price. There is also a difference between money and wealth. Wealth consists of owned assets such as land, tools, machines, houses, factories and so forth. Money is simply a medium of exchange. The best way to illustrate this point is to suppose that you are stranded alone on a desert island, and the only thing you salvaged was a briefcase containing a million dollars in currency. You would then realize the difference between money and wealth. The money is worthless, since there is nobody you can exchange it with for the food, shelter and tools that you need. Your chances of survival would be slim to none. And this would be just as true if the $l million were in gold or silver. A fractional reserve banking system, which we have, means that banks can lend more dollars than they have on deposit.These "dollars" are actually bank credits and are created by a bookkeeping entry.When the loan is repaid, the bank pockets the interest and fees, while the principal is extinguished with another bookkeeping entry. These kinds of banks, Thomas Jefferson warned, were more dangerous than a standing army. Since we have long forgotten the wisdom of our ancestors, we have both banks and a standing army. At any bank in the country today, if all its depositors showed up on the same day demanding their money in currency, the bank would have to close. This is what is called a "run on the bank. "It's happening in Argentina today, and it happened in American during the Great Depression. In that case, people just lost their money, whether it was savings or in a checking account. To prevent bank runs, the federal government now insures each account for up to $100,000. The point is that all the factors that caused the Argentine crisis are present in our country - too much public and private debt, inflation, fractional reserve banking and a central bank. I'm more concerned about this than I am about terrorists. It's easy to be missed by a bullet or a bomb, but not so easy to be missed by an economic collapse. How a dollar problem and derivative dislocation manifests in the U.S. stock and Credit market is a difficult call to make today. Could a faltering dollar lead to a major foreign liquidation of U.S. equity holdings, and could this prove the catalyst for financial dislocation? Or is a major stock market dislocation likely held at bay until the unfolding dislocation impinges systemic liquidity? There is also the key issue of whether we will see market forces develop that will finally work to temper domestic Credit excess. At the minimum, we have entered an environment of heightened risk aversion. This will once again surely force the GSEs and U.S. financial sector to acquire risky assets while issuing “safe” monetary liabilities. While we have seen this process function splendidly several times before, we see a major problem this time around. The Fed has fired its bullets, the dollar is under pressure, and a conspicuous mortgage finance Bubble runs out of control. The system is running near the end of its rope. We see today little possibility for a positive market reaction to one more round of “re-liquification.” What this means going forward is that those institutions that issue “money” and acquire risk will be stuck holding increasingly problematic risk in an especially inhospitable environment. Our hero in the Congress, the Honorable Ron Paul, MD, of Texas, has struck another powerful blow for ordinary people worldwide. He has challenged Secretary of the Treasury, the Honorable Paul O'Neill, as well as the Chairman of the Board of Governors of the Federal Reserve, Dr. Alan Greenspan, to explain the public policy justification for the International Monetary Fund's prohibiting member countries from linking their currencies to gold, and only to gold. So far, neither Mr. O'Neill nor Dr. Greenspan has responded. Thus, a country such as Argentina, which has had multiple currency collapses in recent memory, and is desperate to have a stable currency may, under the IMF Articles of Agreement, Section 4-2b, link its currency to biscuits or sour pickles, but not to gold. Why this restriction? The true answer, of course, is that the financial elite recognizes that gold-as-money is in competition with the fiat (arbitrary) paper-ticket-electronic money that they create out of nothing, and at great profit to themselves, and they want their fiat money to win the competition. "If our money is good money and would be preferred by the people, then why are legal tender laws necessary? If our money is not good money, and would not be preferred by the people, then why in a democracy should they be forced to use it?" The restriction in the IMF Articles of Agreement merely extends this blatant exercise in tyranny to the whole world, thereby using the monetary system to transfer the real wealth of society from those who produce it, mostly ordinary working people, to those who create money out of nothing, the banking system, and to those who get transaction fees for moving it around, the Wall Street community. Dr. Paul deserves great thanks for his heroic quest to help return the U.S. and the rest of the world to an honest monetary system. Although quite generalized in its explanation as to what is going to happen, the reading suggests how America - and perhaps the entire world - will get out of the enormously unstable economic and monetary situation in which it finds itself. I will editorialize [in brackets] as we read along. 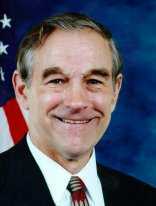 As ye have seen those in lowly places raised to those of power in the political [like Congressman Ron Paul? ], in the machinery of nations' activities [several names come to mind], so shall ye see those in high places reduced and calling on the waters of darkness to cover them [the leaders of the IMF, the Fed, and the U.S. Treasury might fit here]. And those that in the inmost recesses of theirselves awaken to the spiritual truths that are to be given, and those that have acted in the capacity of teachers of men, the rottenness of those that have ministered in places will be brought to light, and turmoils and strife shall enter. [The scandal in the Catholic Church, the crooked behavior of Enron-like firms and their accounts in the monetary world, and dozens of similar examples could be cited]. If we wonder about the growth of “turmoils and strife” today then consider the rest of this paragraph from 3976-15. And, as there is the wavering of those that would enter as emissaries, as teachers, from the throne of life, the throne of light, the throne of immortality, and wage war in the air with those of darkness, then know ye the Armageddon is at hand. For with the great numbers of the gathering of the hosts of those that have hindered and would make for man and his weaknesses stumblingblocks, they shall wage war with the spirits of light that come into the earth for this awakening; that have been and are being called by those of the sons of men into the service of the living God. For He, as ye have been told, is not the God of the dead, not the God of those that have forsaken Him, but those that love His coming, that love His associations among men - the God of the LIVING, the God of Life! For He IS Life. By a stroke of luck, Gary North, Ph.D. in economics, just web-published the following article. It provides a splendid perspective on what now has grown to be a worldwide problem, one that is about to lead all wealthy nations over the cliff of global default. Charles Dickens created a character for “David Copperfield,” Mr. Micawber. And macabre he was! He was a promoter, a blower of bubbles, a schemer, a spinner of dreams. Nothing ever quite worked for him as planned, but he was always hopeful. His philosophy of life has come down to us in his famous phrase, "Something will turn up." In the 1935 movie, W. C. Fields played Micawber. This was an example of flawless casting. Dickens identified the mind-set of the huckster, the man who substitutes schemes on paper for productivity. Dickens was convinced that capitalism is basically little more than a gigantic system of schemes. He saw the system as a bubble. He was wrong about capitalism, but he was correct about the central institution of capitalism, fractional reserve banking. This institution, from the creation of the Bank of England in 1694 until the present, has been the creation of government. It could not exist without The Agreement: "You license our monopoly over money, and we'll guarantee a market for government debt." I call it Micawber's Agreement. The Agreement is at the heart of the modern world's economy. Only one thing has ever proven successful in exposing this agreement as a Micawberesque scheme: a rising price of gold. This is why, above all else, central bankers strive to keep down the price of gold. The price of no other commodity attracts as much attention. The price of no other commodity is the subject of extended editorials in financial publications. Gold is not just another commodity, despite what the gold-haters in the media assure us. If it were, then they would not have to keep writing their articles that assure us that it is. I realize that expert opinion can be awe-inspiring. I fully understand that when Alan Greenspan appears on Capitol Hill, Congressmen, Senators, and WALL STREET JOURNAL columnists are impressed by rhetoric that is matched only by Dwight Eisenhower's and Professor Irwin Corey's. But, as I listen to his presentations and read them on-line, I keep in mind an image of W. C. Fields. This helps me to put things in their proper perspective. Prior to the outbreak of World War I in 1914, gold coins served as money for the masses of the West. Gold bullion is still money within the closed fraternity known as central banking. It is money for central bankers because they do not trust each other. They expect each other to cheat, to debase their currencies, to defer payment, to lie without embarrassment, and to stiff their brethren if they think they can get away with it on the cheap. They know from experience over centuries that debtors cheat creditors. The modern economy is based on massive debt, and every debt is denominated in a means of payment: a currency. Central bankers want to be able to cheat the public. Cheating the public is the number-one goal of all central banking. The system has always rested on monopoly and deception. At the same time, the number-two goal of central bankers is to avoid being cheated by each other. These goals are always in conflict. That which best protects the central bankers from each other -- a gold coin standard -- also protects the public from central bankers. In 1914, all central banks except the Federal Reserve System stole the gold that three generations of citizens who had dutifully and foolishly handed over to commercial bankers. The only people who were not big losers were those who had not been rich enough to open a bank account. The "best and the brightest" were the biggest losers. After 1914, shell-shocked European depositors trusted the words -- no longer redeemable in gold -- of the commercial bankers' official representatives, central bankers. In 1933, Franklin Roosevelt acted as the agent of the Federal Reserve, and confiscated Americans' gold, hiking its price in 1934 by 75%, after the government was in possession of the stolen goods. The government turns over the stolen gold to the central bank. This is how the system has always worked. This is The Agreement. Central bankers are like most other debtors: they want to be able to escape their creditors if bad times arrive. They want to be able to get out of their obligations. They did this in 1914. The FED did it in 1933. Central bankers cheated millions of depositors, who had naively believed the commercial bankers' original promise: "Invest your gold with us, and we'll pay interest to you. You can get your gold back on demand at any time (you dumb clucks)." Central bankers are also like creditors: they don't want to be cheated by their debtors. They wanted protection. They trusted gold. So, having stolen the public's gold with the politicians' blessing, they created an inter-bank gold standard for themselves: the gold-exchange standard. It began in 1922 (the Genoa agreement). They extended it in 1944 (the Bretton Woods agreement). By these agreements, the Bank of England and the FED promised to pay other central banks -- but not the general public -- gold on demand. By 1944, the Federal Reserve System had most of the world's gold. The FED then persuaded the United States government to extend a promise to other central bankers on its behalf: "Invest your gold with us, the United States government, and we'll pay interest to you. You can get your gold back on demand at any time (you dumb clucks)." It worked like a charm. It always does. The market for U.S. government debt became the largest debt market on earth. On August 15, 1971, President Nixon did to the world's central bankers what all of the central banks and their governments had done in 1914 to their equally naïve citizens. Without warning on a Sunday afternoon, he revoked the promise and closed the gold window. "Suckers!" From that time on, the price of gold in relation to any national currency was set by the law of supply and demand. But, then again, it had always been set by supply and demand. The question of the gold value of any currency is always settled by supply and demand. How much currency is coming out of some central bank? How much gold is being made available by suppliers? Will existing monetary policies be continued? The larger the debt, the more tempting the lie. "You're check is in the mail." This is because the present threat of the future costs of defaulting on a loan pale in comparison to the present cost of repaying. Bankruptcy looms. Deferral now looks like a reasonable policy. If the debtor can defer the day of reckoning, he will be sorely tempted to do this. Bankruptcy tomorrow is a greater threat than losing access to the credit markets in a year. Maybe the lie will work. "Something may turn up." If the creditors keep pushing for payment, the debtor's lie become obvious. At that point, the debtor admits the truth: "I can't repay." When the debtor is a sovereign government, nobody can do much about it. What's gone is gone. It was nice while it lasted. Creditors may threaten to cut off future loans, but everyone knows that's also a lie. Latin American governments have been playing the default game with gringo bankers ever since the 1830's. Argentina is only the latest example. Brazil will probably follow. Do foreigners still loan money to the United States government? Of course. Did our government stiff them in 1971? It stiffed their central bankers, but politically speaking, central banking is not a big issue. The public doesn't understand international economics and currency markets, so voters don't toss out governments because their governments have stiffed foreign creditors, including foreign central bankers. If anything, the Senior Liar of the existing government is likely to be re-elected. Nixon was overwhelmingly re-elected in 1972. The public ought to care. It pays for losses sustained by the nation's bankers. Taxes bail out recently stiffed bankers. The central bank says, "If we win, you get to keep more of your money. So do we. If we lose, you will pay for our losses." Nice work if you can get it. The way the public pays is through higher taxes, especially the inflation tax. Consider the year of the great confiscation in the United States: 1933. To match the purchasing power of the dollar of 1933, a person needed over $3 in 1971. That is, the purchasing power of the dollar fell by two-thirds. That's what President Roosevelt's unilateral abolition of the gold standard did to trusting Americans who had naively believed the government's promise to redeem the public's gold at $20.67/oz. This depreciation took 38 years. Suckers! Ever since Nixon's unilateral abolition of the gold-exchange standard in 1971 -- refusing to sell gold at $35/oz to central bankers -- the dollar has fallen in value by almost 80%. It takes $4.44 to buy today what it took $1 to buy in 1971. This depreciation took 31 years. Suckers! See the Bureau of Labor Statistics' inflation calculator. The falling value of the dollar is the irrefutable evidence of the effects of government lies. But hardly anyone cares. Everyone thinks he is getting richer. Through politics, the over-65 crowd has gotten a cost-of-living escalator written into the Social Security law. This is why the government uses the standard Consumer Price Index to calculate inflation rather than the more accurate Median CPI, which today indicates that price inflation is three times higher than the CPI says. Sometime in 1980, Dan Ackroyd did a skit on "Saturday Night Live" called "Inflation is our friend." He came on-screen with a Jimmy Carter-like accent, which was pretty good for a Canadian. "Didn't you always want to wear $400 suits and live in a $200,000 home. I know I did. Well, now we can. All it takes is a little ink and some paper." A major problem with monetary inflation is the level of debt it produces. The debt level ratchets ever upward, never going back. Aggregate debt is never repaid. Or, as King David wrote, "The wicked borroweth, and payeth not again" (Psalm 37:21a). Debt today is the foundation of the world's money system. It is not the debt of a warehouse receipt: a fixed quantity of gold in reserve for a specific number of receipts issued (100% reserves). It is a system based on expectations: "payday someday." We have capitalized debt. We have allowed fractionally reserved central banks to use politicians' promises of future payment (i.e., government bonds) as the foundation of our money system. The only way that the politicians can pay off today's level of government debt is by creating even more government IOU's, some of which will be used as the legal reserve to expand the money supply. Debt will then rise even more, in every niche of the economy except (possibly) the section run by the Amish. Debt is denominated in a currency. Debt locks in everyone's hopes and plans. It also locks in our financial markets. Debt lures us into making decisions based on an assumption regarding money: "There's always more where that came from." And there always is. The Federal Reserve is pumping in new money today, just as it has done since 1933. The St. Louis Federal Reserve's data [in Adobe PDF format] indicate that the Adjusted Monetary Base has risen by over 10% since May 30, 2001. It has been rising at an 11% rate since early April of this year. The underlying assumption of every investor is that the government -- meaning the central bank -- will make available enough money for the vast majority of debtors to keep making payments on their loans. Creditors look mainly to next month's payment. If that is secure, they can capitalize this hoped-for stream of income. They can sell the credit instrument to someone else for cash. That's what Fannie Mae and Freddie Mac are all about. Creditors, like debtors, believe that the FED will keep the debt system going, which means keeping the capital markets solvent with credit-based money. They also believe that price inflation will not rise at anything like the rate of increase in the money supply. They believe that they will be repaid in dollars of fairly constant purchasing power. They believe this in the face of massive historical evidence to the contrary, from the day that Roosevelt confiscated the American public's gold. They simply will not learn. Like the poor, the prophets of deflation ever with us, never putting together cause and effect, never learning that prices keep rising because the money supply keeps rising. They even applaud the FED for keeping the money spigots open. Every school of economics except the Austrian School (Mises and Rothbard) believes that a free market in money can't work in theory: Keynesians, monetarists, and supply-siders. They all call for government intervention into money and banking. They all decry "tight money," which they define operationally as monetary growth that allows a recession. The Keynesians and monetarists are consistent. They reject the gold standard in any form. The supply-siders, whose members have yet to produce a single textbook or economic treatise that explains how their system works in theory, sometimes call for a government-run, government-controlled, government-guaranteed gold standard, which somehow will not keep money so tight that an economic depression results. They proclaim a gold standard that somehow will not destroy the number-one assumption of America's capital markets, namely, "There's always more where that came from." Whenever you are told about a gold standard that will enable the present debt system to survive the effects of stable money and the massive level of default that will result when the money spigot is closed, ask for a reference to the chapter in the textbook that describes how this is possible. You will be told, Ackroyd-like, "trust me." If you want Mises' view of why monetary inflation leads to an economic depression after the money spigot is closed, read Chapter 20 of HUMAN ACTION. Or read my on-line e-book, MISES ON MONEY, Part V.
Members of the fraternity of central bankers know enough not to trust each other. If they see that one of their member banks is cranking up its domestic money supply, they buy gold from that member. They deplete his bank's gold reserves. The central banks' gold is stored mostly at the Federal Reserve Bank of New York, at 33 Liberty Street. If you saw "Diehard 3," you know this. (I wonder if a majority of the viewers of that film every understood what they were seeing. Probably not.) In each nation's designated cubbyhole in the underground vault at 33 Liberty Street is stacked a pile of gold ingots. Transactions among central banks are settled daily. Men on electric fork lifts carry gold bars from cubbyhole to cubbyhole. It is clear what the central bankers trust as the final court of appeal: gold. Anyway, that is what they used to trust. I believe this is now changing. In the past, they have trusted the FED not to end the game by confiscating everyone's gold, and telling the world to go fly a kite. So far, this trust has not been violated. America is the world's superpower. It has the largest capital markets. If it were ever to act in the way that a Latin American banana republic acts, the world's central banks would . . . would. . . ? What? What could they do? They could roll on the ground and hold their breath until they turned blue. They could scream. And then, as central bankers always do, they would lend to the highest bidder. That would probably be the United States. The fact is, the fractional reserve system has sucked in the central bankers. Like depositors who turned in their gold coins in exchange for interest-bearing debt ("deposits'), so have central bankers turned in their gold in exchange for interest-bearing debt ("T-bills"). Like depositors, they can't get their gold back. Nixon ended that right. So, if they want gold, they must buy it in the open market. This would drive up gold's price as denominated in the central bank's currency. This would alert the world that something is wrong with the currency of the nation whose central bank is buying told. No central banker wants to cause that to happen. So, as individual banks, they dare not buy much gold. So, they don't have much use for gold any more. Because Nixon changed the rules, they have been trapped by the logic of the market for gold: supply and demand. Central banks today are selling their gold. They are concealing this through lease contracts, which are in fact permanent sales contracts. The bullion banks that have borrowed the gold, sold it, and invested in governmentbonds cannot possibly repay with actual gold. ("The wicked borroweth and payeth not again.") The central bankers know this. They do not care. The bullion banks are selling gold to the general public, who in turn use the gold for non-monetary purposes. This keeps down the price of gold. European central bankers have come to the conclusion that they can't sell their holdings of dollars and use these dollars to buy gold from other central bank. They don't dare fly gold home for safe storage in their own vaults. That would panic the world's capital markets. The dollar might collapse, and all of them hold dollars. Like depositors in a bank that is unsound, they dare not withdraw their money for fear of creating a bank run. Gold therefore isn't useful for central bankers any more. They are trapped by the fractional reserve system that their predecessors created. They dare not display distrust in the dollar because the international trade system rests on the maintenance of public trust in the dollar. So, they do not buy gold as a hedge against a fall in the value of the dollar. Instead, they sell gold. This keeps the price of gold low, which creates the illusion that there is not a looming crisis facing all nations: their governments' inability to pay off their retirement-medical programs to an aging population. A massive, worldwide default is looming. There is no way to avoid it. The central bankers all know this. No one knows it better than Peter G. Peterson, an investment banker who heads the Council on Foreign Relations. He has written several books about this. The latest is GRAY DAWN (1999). They know. Their governments will eventually call on them to create enough fiat money to pay off the governments' debts to an aging public. There is only one way that the world's Social Security-Medicare programs can be paid off: with fiat money. Then money will depreciate in value. The central banks are selling gold to the public in order to keep the price of gold from indicating the magnitude of the default-by-inflation that lies ahead. Central bankers are today resorting to the tried and true method used by overextended debtors down throughout the ages. They are gagging the inside stoolie. The inside stoolie is gold. When the price of gold rises, the public is alerted: "Liar, liar." Central bankers are manipulating the gold market by selling off their gold. Like a riverboat gambler with a fat roll of $1 bills, and a few $100 bills around the outside of the roll, spending a few of them for show, central bankers are selling off their gold reserves in order to keep the reality of the looming currency crisis from becoming obvious. They are deferring the day of reckoning. Why? Because they have a dream: "Something may turn up." Central bankers after 1815 trusted gold rather than each other, but they have all quietly agreed to sell off gold officially, a little at a time, and sell lots of it unofficially through the gold leasing program, which hardly anyone notices. They keep the sold gold on their books because they define these sales as loans, payable in kind. It's a short-term tactic, and it appears to be irreversible as central bank policy. They no longer trust gold. Then what will they trust in the future? They will have to trust each other's politicians. That is, they are now trapped, just as the rest of us have been trapped since either 1914 (Europe) or 1933 (the United States). The public prior to 1914 trusted the banks because the banks promised to redeem gold at a fixed price. This promise was backed up by the courts -- contract law. When World War I broke out, the politicians broke the law on behalf of the banks, authorizing the banks' confiscation of the depositors' gold. Then the politicians confiscated this gold on behalf of their respective central banks, turning the gold over to their central banks. In short, the politicians lied. Politicians always lie. Their job is to lie. We pay them to lie. We re-elect them for lying well. The question for each voting bloc is this one: "Which political party's lies seem to favor us?" Politics is about wealth-redistribution by force, and the greatest tool of political wealth-redistribution is the lie. "Everyone will retire in comfort." "We will not break our promise to our senior citizens." "The Social Security trust fund is secure, and the fact that it is filled with IOU's has nothing to do with anything." "Taxes will not go up." "We will not go to war." And so on. All lies. We know they are lies, and we select which lies we will vote for, believe in, and invest in terms of. Nineteenth-century Latin American dictators spotted the willingness of gringo commercial bankers to invest in terms of obvious lies, and they have milked the banking system ever since. It took longer for us gringos to figure out how the system works. But we did eventually learn. The fractional reserve banking system is a gigantic lie. Commercial bankers represent their depositors, who in turn believe in the biggest lie of all: "Deposit your money with this bank, and we will pay you interest on it, and you can get back your money -- your lent-out money -- on demand at any time." This is the lie of fractional reserve banking. This lie is to capital markets what a perpetual motion machine is to physics. When you hear about a perpetual motion machine, you can be sure of two things: (1) the promoter is lying; (2) there is a hidden power cord or battery somewhere in the system. When you hear about an investment that pays interest, but which you can get back at any time, start looking for the hidden power cord. Don't trust sellers of perpetual motion machines. Don't trust the machines, either. Look for the cord. If you get the opportunity, cut it. We live in an era of widespread faith in perpetual motion machines: government benefits for the masses paid for by The Guy Behind the Tree; bank deposits that pay interest on lent-out money that is available on demand; a central bank-run version of the gold standard that has not had redeemable receipts since 1971; the promise of stable prices from a monetary system that rests on government promises to pay. Lies, all lies. And our world is built on them. For now. Your economic future rests on the fulfillment of promises so brazenly false that no one with an IQ above 90 should believe even one of them. It rests on what most people ought to recognize as lies. Yet in the best universities, in the fattest textbooks, in the highest seats of power in the land, all over the world, these lies are not only believed, they are presented to the public as profound truths -- proof that the world is a new and better place. As for me, I prefer Kipling's version of these new and profound truths. Read "The Gods of the Copybook Headings" (1919). Then plan accordingly. [Note that Rudyard Kipling was very unfashionable. "Copybook" is British for "notebook." "Headings" refers to traditional proverbs or other ancient truths that teachers long ago assigned their students to write essays about. The moral is that unfashionable truths can't be repressed, not even by “the Gods of the Market-Place,” believed to be an early reference to the Wall Street Journal Editorial Page and libertarians in general.] Finally, we have this web article on the long range future of gold as an investment vehicle. Fundamental knowledge of an investment item without market timing is a fine race car without fuel. Market timing devoid of fundamental knowledge is downright dangerous. Objectivity is the product of a deep understanding of the fundamental reason why the price of an item moves and a firm grasp of technical market discipline. In objectivity lies the key to successful navigation across the tempestuous seas of market participation. Timing and price movement potentiality must meet at the point of investment/trading action. This is what we are striving for in this review of gold as it declines from the recent $330 intraday high level. We shall therefore review the fundamental "why" of gold, and cast this understanding against the longest-term technical reasoning of cycles. What we are looking for is convocation of disciplines both in terms of WHY & When. This holy gathering of a cycle turning point and the beginning of supportive fundamental factors is a rare occurrence in any market. Logically, of course, the convocation must happen but their perception by the investor/trader is the key rarity. It was our belief that such a meeting was occurring in late 2001 that turned both of us expectantly bullish for gold's appreciation. This view was set in cement in a Forbes article December 10th, 2001. The coming together of the cyclical turning points is support of a grouping of key fundamentals for any market is unreported headline news. This is what is occurring across the basic five constituent parts fundamentally required to build a long-term bull market in gold. It is this occurrence that has motivated us to attempt to save the gold producing industry from themselves in their ill constructed and potentially terminal destructive transactions. The last time such a gathering of critical factors took place with the potential of today's golden convocation was in the early 1970s. It is the potent ingredient of 2002 that we have focused on in the many and complete treatises on derivatives already written for you. In the early 1970s, gold was the only medium in which global markets speculated, both in interest rates, inflationary expectations and currency destabilization. Subsequent advents of potential convocations were devoid of key fundamentals, had developed new markets in which speculation previously associated with gold could take place and/or lacked key technical items of necessity. As the result of no completed golden convocations since the early 70s, we have experienced 22 years of an on-balance bearish environment for gold's price. Today, all the primary fundamental reasons for an appreciating gold market are coming into play along with convocation of cyclical turning points for long term support of these key building blocks. At the same time a new potent ingredient has the power to fully displace the development of interest rate sensitive and currency based new trading markets that have had the tendency to take speculators away from gold as a vehicle of play. That potent ingredient is the Mother of All short positions in market history; the size of the gold short spread derivative position. The unique characteristic of that position is not only its size but also its ownership. The gold producers are responsible for only 11% of this mammoth short position. 89% of the $280,000,000,000 (figure from the IMF & BIS reports) is from sources that have nothing whatsoever to do with gold production. These rogue sources are borrowing money, using the mechanism of gold about which they understand little. It also represents pure short spread positions of the carry trade. Due to the fact that the notional value of the derivative $280,000,000,000 becomes real value at a gold value of $354, we can expect risk control programs to be buyers of gold whenever the momentum indicators turn positive and the market is over $305. We now have a golden convocation of all the technical and fundamental factors that constitute a long-term bull market in gold plus a potent ingredient (the derivative short spread position) that offer us years of a positive gold market. A new bull market in any item always climbs a wall of disbelief. Why should it be any different for a long-term bull market in gold? We have recently had an intraday high for gold at $330. The bears that were hard to find between $305 and $330 are now coming out of the woodwork. All of them claiming to have called the bottom, and now announcing the recent rally high as the high of this, as they call it, mini bull market in gold. Well, they are wrong. This is something entirely different in its construction, timing and convocation with potent factors new to gold. Let's review what has occurred, and is occurring for gold. This is a good discipline. We will endeavor to make a review on each reaction, as you will be continually bombarded by those myopic enough to see gold as the enemy of their preferences in the market place. They identify gold as the enemy to be slain so that what they prefer, market wise, can rise from its ashes. Are the bears being objective? Let's review and see for ourselves. The US Current Account must be in a Deficit position and growing. Yes, this is a present condition and shows no fundamental signs of reversing for a significant time. This is the account that measures the amount of US dollars in the hands of non-US entities. It is usually invested primarily in US Federal Debt instruments. An intact negative trend in the US Dollar overall must exist. It should have the characteristics of a bear market. This is in fact true for the US Dollar today. We have a classic long-term top called a Head & Shoulders formation, which was subsequently confirmed by price and volume action. Even the dollar bulls now are looking only for the dollar to stabilize at lower levels. This criterion is in place for a long-term bull market in gold. The general commodity market is showing in many ways, both fundamentally and technically, that it is in a base formation from which one can expect higher prices. We shall discuss the technical characteristics further to sustain that this ingredient has begun to support gold long-term. Trust in paper assets must be waning for gold to assume an investment role internationally. We see the recent decision against Andersen, the comments on GE and IBM accounting practices and Enron as examples of causative items, which have turned investors away from the absolute belief, in existence from 1980 until now, that paper assets were storehouses of value. We believe this ingredient is in favor of gold's long-term bull market. The momentum in the appreciation of the bond market must be decelerating. We see this ingredient as positive now to a long-term bull market in gold. These five items as they gain in strength will further accelerate the underpinnings of a long-term market in gold. It was the forming of these constituents of a long-term bull market in gold that has given rise in the move of gold from $260 to $330. What is to come? The answer lies in long-term market cyclical events. Cycles in market analysis are best understood as indicators of a market's propensity to follow a direction at a specific time. We turn to cycles when we have a need to know when to look for major tops and major bottoms. The following is a review to the cyclical inferences for gold's major ingredients for bull markets. Gold itself: The 9-year cycle low for gold is in. We have that low established both in time and price. The opportunity for further lows passed in the first quarter of 2002. This concept is supporting the thesis of a long-term bull market experience now in gold. The US Dollar: The four year cycle of the dollar's high has occurred. The first low point in the dollar bear progression is not due until late in the final quarter of 2002. This ingredient is in support of the long-term bull market in gold. Commodities: The 30-year cycle low point has passed. The 3-year and 9-year lows are upon us. Soon the general commodity market will have the propensity to rise on a long-term basis. This ingredient then is supporting our thesis of a long-term bull market in gold. Bonds: The 10-year cycle high is in. The 3-year cycle high is now upon us. This is a means of judging cyclical performance in the current account, as a progressing deficit along with a lower dollar is not conducive to increasing demand by-non-US entities for US dollar denominated government bonds. We therefore see this ingredient as supportive to a long-term bull market in gold. Where is the potent new factor in the gold picture? Gold Short-Spread Derivative: This factor is the huge Gold Short Spread Derivative factor that we have written on in great detail. We refer you to the archives of HSLetter.com. Tanrange.com, LeMetropolecafe.com, Gold-Eagle.com and Financialsense.com for copies of the copious review of this new gold bull market ingredient. Gold will obtain increasing support from the traditional building blocks as the last half of 2002 plays out. As such the recent $330 top is unlikely to be anything other than gold's first overbought interim rally high point. We see support in gold at 317, 312 & 305. Any one of these points can suffice to start the next upward move. James Sinclair can be reached at Tan Range Exploration Corporation and Harry Schultz at the International Harry Schultz Letter.